Welcome to City Eyes Opticians. 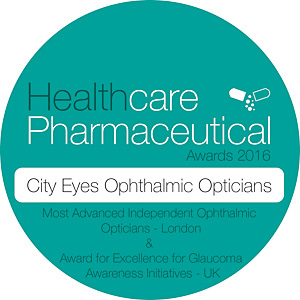 London’s exclusive independent eye clinic. Established in 1988 by Charles Babumba, BSc(Hons), DOpt, CCEH (Moorfields). We are a forward looking practice, with innovative ideas, a progressive approach to eyecare services and treatment. We use state-of-the-art hi-tech diagnostic equipment, stock fashionable/designer spectacle frames and sunglasses. We are up to date with the latest vision correction procedures including Orthokeratology (OrthoK) and Colourimetry. We offer pre-assessments and unbiased advice about corrective laser eye surgery. We regularly attend seminars and conferences in the USA, UK and the rest of Europe, so as to keep in tune with current and future research for the treatment of eye diseases, like Macular Degeneration, Diabetes, Cataract, Glaucoma and the control of short sightedness (Myopia) in children and young adults. Watch Charles Babumba in a live demonstration of the Ortho K overnight lenses with Philip Schofield on the ‘This Morning’ national breakfast TV show. Philip wore the lenses overnight prior to the show and then had his eyes scanned showing how they had improved his sight, live on national TV. Don’t like wearing contact lenses. Laser surgery not for you then Ortho K could be your answer? Ortho K overnight lenses correct your vision without the need to wear contact lenses during the day. The Ortho K lens reverses the power of the cornea at the front of the eye during overnight wear, which allows you to see without the need for lenses whilst you are awake. Having worn only glasses for over 20 years, I was reluctant to try vision-correction lenses. However, in the first week of use I was pleasantly surprised by the quick improvement in my sight. After 6 months, I find that I can enjoy 2 to 3 days of good vision from using the Ortho K lenses, so I don’t even have to wear them daily. They are comfortable and convenient, and fit in well with my busy daily routine. I would highly recommend them to anyone considering such a move.